Welcome to "THE INTERCEDERS" - LIGHTHOUSE GROUPS INFORMATION DOCUMENT AND INVITATION. Why Haven't We Seen Revival For 100 Years? This once great nation had a world wide reputation for honesty, integrity, high moral standards, low crime, hard work, thrift and duty. This was because God blessed this land and made it prosperous. But now the country is polluted with immorality, family breakdown, dishonesty, binge drinking, alcoholism, drugs, swearing, blasphemy, cruelty, violence, crime, murder, Christ denying religions, obsession with sport and entertainment, huge debts, overfull prisons and nearly empty churches. All this and more is because it has gone away from the God who made her great. He is no longer reverenced, and His Word is rejected. The churches of this land are responsible for this, for they have failed to stand up for God, and to declare His standards, and have not prayed earnestly for God to do His work. Instead, they have become like the world, accepting its standards, and have become afraid of judging and confronting the world’s sin. But people will never come to repentance unless a holy God is presented to them through a holy people. a) Individuals praying consistently for revival and awakening. (If you would like to know about this, please contact us by e-mail. b) Preachers of righteousness preaching the whole word of God without fear or favour. (If you know of any preachers doing this please contact us by e-mail). c) Groups of believers all over the country standing for God and His truth, and praying for God to raise up the preachers who are needed, and pour out His Holy Spirit on this land. We believe the Lord is calling us to set up such groups, which will be open to people of all denominations and of none. These groups will be lights in the midst of the increasing darkness covering the land, pointing people to Jesus, the light of the world. They will be places of honesty and openness for those believers who are dissatisfied with the existing situation; they will be sources of truth for those who are searching for the truth, and, above all, they will be places of concerned prayer for God to revive His work. Consequently, they will be sources of encouragement to all who attend; for praying together for specific aims, unifies, strengthens and builds up faith. We need to make it very clear what revival and awakening are. A revival is God coming down in convicting and sanctifying power on His people, making them holy. An awakening is God rending the heavens and coming down on a whole area, so that the awareness of the presence of a holy God, bringing conviction of sin and repentance, is felt by all, and unbelievers are awakened from the sleep of death, truly converted and separated from their sins. Unbelievers cannot be revived, for they have no spiritual life in them to be revived. They need to be awakened. 1) The awareness of the awesome presence of a holy God. 2) Deep conviction of sin, with people crying out for mercy. 3) The things of eternity, especially the facts of heaven and hell, being more real than the things of time. 4) Deep and overflowing joy in the Lord, for those brought to faith. 5) A reverence for God and a fear of Him, so that people are afraid to sin. 6) Great concern for the salvation of sinners, with people pleading in prayer to stop others going to hell. 7) The lives of those awakened being radically altered, with worldly lifestyles renounced. 8) Believers being enthusiastic to pray and study the Bible everywhere. 9) Believers staying true to the Lord because of their conversion experience. 10) The church’s priorities becoming much more spiritual; the Bible being honoured, read, obeyed and shared, prayer becoming a dominant passion, and holiness becoming paramount. 1) To pray for revival and awakening in Britain, for God to withhold His hand of judgment, fulfil the promises in His word, and pour out His Spirit on this land, so that righteousness will exalt it. 2) To pray for God to raise up preachers of righteousness, who will fearlessly proclaim the truths of God. 3) To pray for such preachers and evangelists who have been raised up. 4) To pray for all persecuted Christian believers. 6) To strengthen and encourage believers, and make them more open to the Holy Spirit, so that they are unashamed of the gospel, prepared to stand for God and declare His standards. 7) To make believers more concerned about the sin and rejection of Christ that is around them. 8) To encourage all who attend to seek that holiness without which no one will see the Lord. 9) To help seekers come to conviction, repentance and faith in Christ, and become wholehearted disciples. 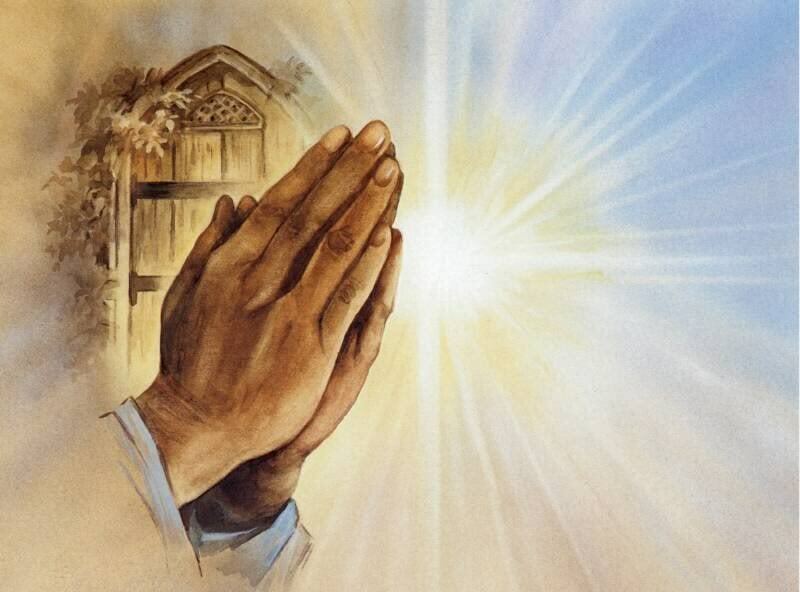 The groups will need to meet at least once a week, preferably more, as history shows that it is only persistent and insistent prayer that brings the desired result. We believe such groups will become increasingly necessary in the coming days, not only to pray for revival and awakening, but also because it will become more difficult to remain true to the Lord and His truth, and there will be many who are confused, or have been misled, or have not found the answers they are seeking. If you already have such meetings in your church or area. If so, please let us know, so that we can direct people who are looking for such groups to go to yours. Many people are longing to find such meetings, so please tell us about yours by filling in the response form below. If you do not have such a group, and would like to belong to such a group, or are willing to help form such a group, in order to create the network of lights all round the country, please fill in the response form below, and we will try to put you in touch with other like minded believers in your area. Please let us have your response to this. We look forward to hearing from you. as we want to be a prayer and ministry centre for revival and awakening. the beliefs and aims of the Lighthouse Groups. at least once every week. B. For those who would like to belong to, or start such a group. Please copy and paste, and send this response form back to us. When you return this form, I will send you suggestions to help you. Thank you very much. The Lord bless you.